Click pictures below to see our Current Specials! 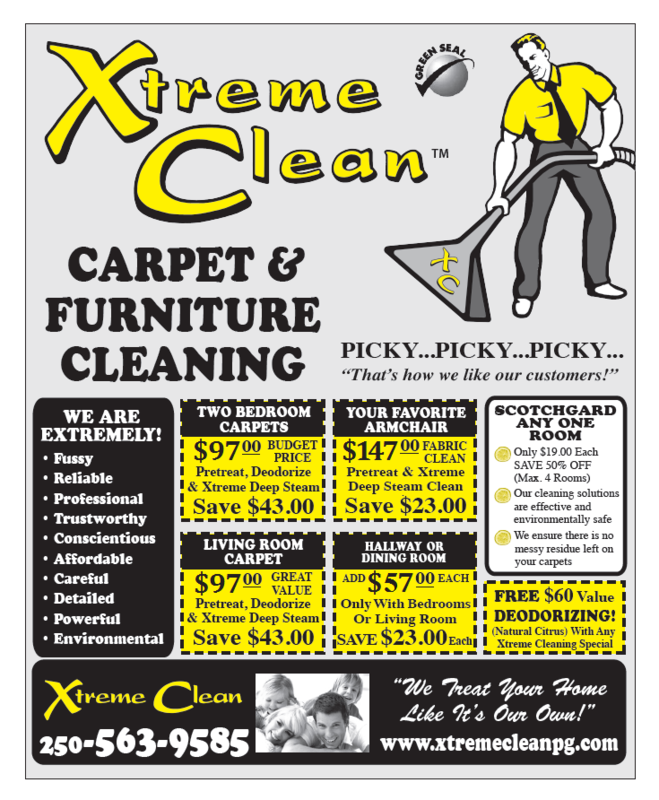 Xtreme Clean has highly skilled technicians and offers upholstery cleaning services at a very low cost in Prince George. 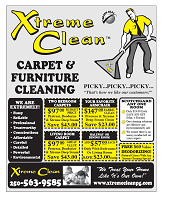 As with carpet cleaning, your upholstery will be cleaned by an expert upholstery cleaning technician using our extremely powerful cleaning equipment. This will result in even the deepest dirt and stains being lifted away! Our whole aim is pure attention to detail, so we make sure that your upholstery looks almost as good as new. Want to keep the furniture in your home looking great? 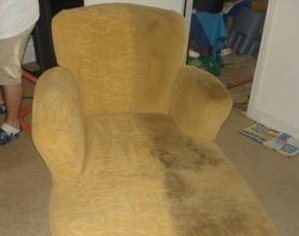 Here at Xtreme Clean we care about all your upholstery cleaning needs. Whether it’s stain-shielding a sectional you just bought or cleaning the chair you got out of grandma’s attic that has been up there for 30 years, our trained technicians will first do a thorough inspection of all upholstery to ensure that the proper methods of cleaning are utilized. Whatever the fabric, our prices include all the treatments needed to clean the fabric properly and leave you satisfied. After cleaning, we can apply a stain shield to help minimize wear and tear, keep future stains from setting in, and add years to the life of your furniture. If the dog or cat has been using the couch as a litter box, a fire hydrant, or has just plain been sleeping on it too often, we can steam clean it, remove the odors, and disinfect it for you all at the same time! But wait! There’s more! 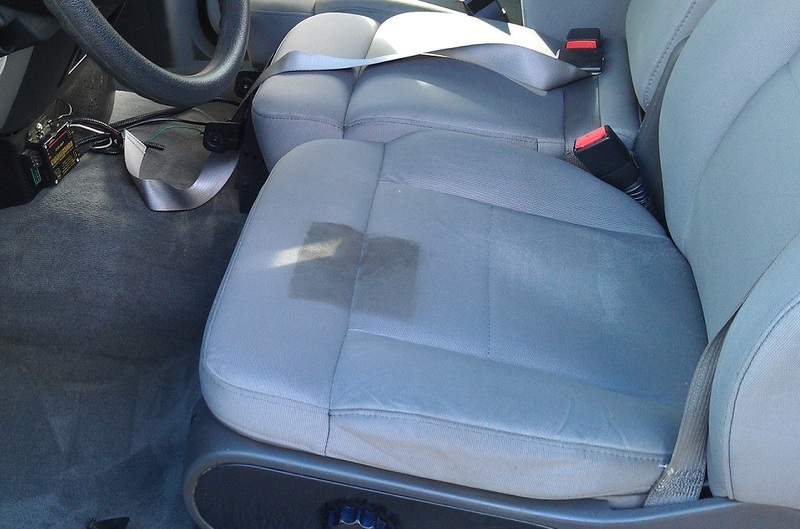 Is Prince George weather having a negative affect on your vehicle upholstery? We can help! All of the methods we use to professionally steam clean the furniture in your home are the same for cleaning the upholstery in your vehicle. Call now to talk to a specialist and setup a time convenient for you to have your baby spiffed up!